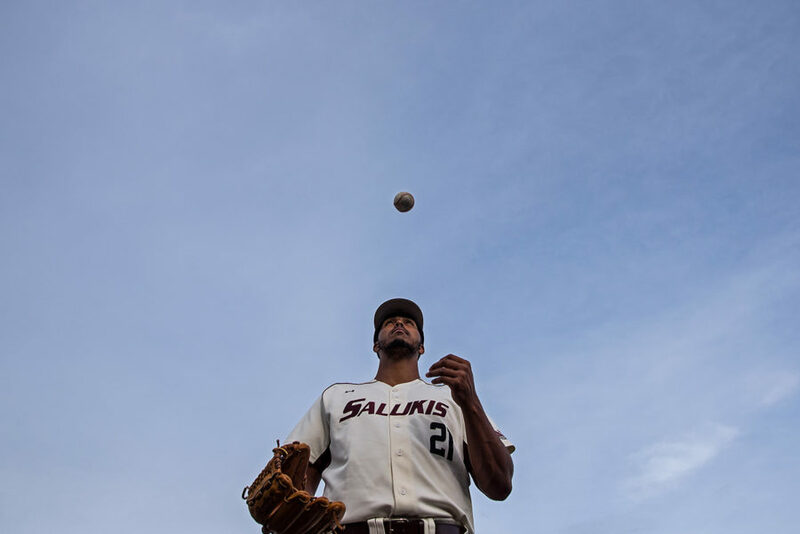 At 6-foot-5 inches and 275 pounds, Saluki senior starting pitcher Joey Marciano is an opposing figure on the mound. Add a fastball that sits in the low 90’s, and he becomes downright scary to batters that have to face him. Mention to anyone that such a large man can elevate and dunk a basketball with ease, and it becomes apparent to them that Marciano is a true athlete. Marciano grew up in the inner-city of Chicago. 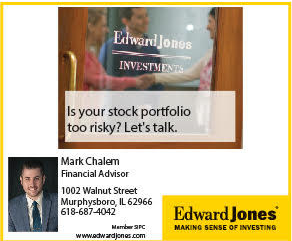 The eldest of five siblings — three younger sisters and one younger brother — he focuses on being “the role model” for them in life. The young pitcher’s path began at Roberto Clemente Community Academy, a four-year public high school in Chicago. This is where Marciano first picked up a baseball. On top of joining and playing for his high school team, Marciano joined a traveling baseball team sponsored by the Chicago Cubs RBI (Reviving Baseball in Inner cities) program through the Union League Boys & Girls Club. This was Marciano’s first taste of playing against different teams in different states. 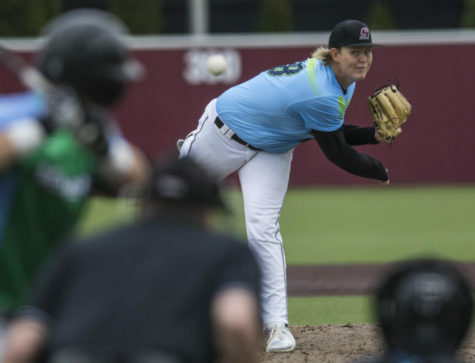 After his first exposure to summer traveling leagues with the RBI club team, the young pitcher decided to join the Chi-Town Cream traveling team under Coach Chuck Reeder to gain exposure with college and pro scouts while playing against top-tier competition across the nation. Marciano credits Coach Reeder with having a big influence on him as a young player. As a senior in high school, Marciano was told by his coaches that the Toronto Blue Jays had expressed interest in him, but he said it never amounted to any face-to-face conversations. With pro prospects slim and no commitment to college, Marciano took part in the Prep Baseball Report Unsigned Senior Showcase. 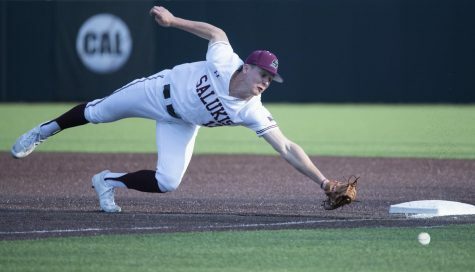 The PBR Showcase allows coaches from two-year and four-year colleges to come and scout unsigned high school players for their institution’s team. Following the PBR Showcase, Marciano was contacted by 15 -20 junior colleges and four small Division I universities. He decided to sign with John A. Logan College in Carterville after they offered him a scholarship to play baseball for the Volunteers. 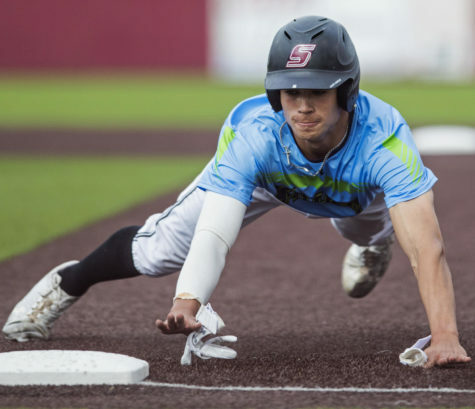 Marciano retained his MLB draft eligibility by enrolling in a junior college, but went undrafted in his two years as a member of the Volunteers, despite earning Region 24 All-Region and All-Conference honors and being named Great Rivers Athletic Conference Freshman of the Year. SIU baseball recruiting coordinator and pitching coach P.J. Finigan took the opportunity to see Marciano throw during a fall exhibition game between John A. Logan and Rend Lake College. Finigan called Marciano later that night to schedule a visit to the SIU campus. 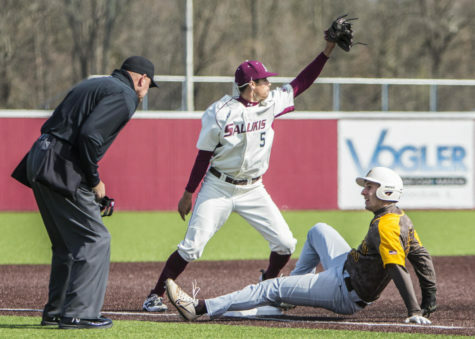 SIU was not the only Division I university courting Marciano, as Southern Miss also offered him a scholarship to attend college and play baseball. 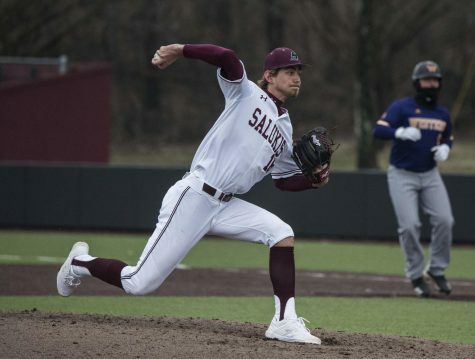 In his first season with the Salukis, Marciano finished with a respectable 4-7 record while sporting a 3.78 ERA as a weekend starter. 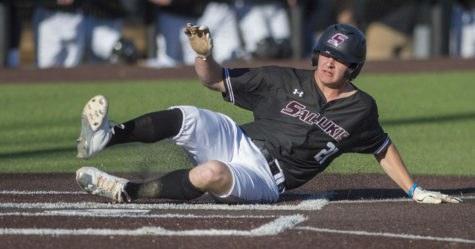 It was not the beginning of his SIU career that he envisioned, but he stressed that the 2016 season served as a valuable learning experience. 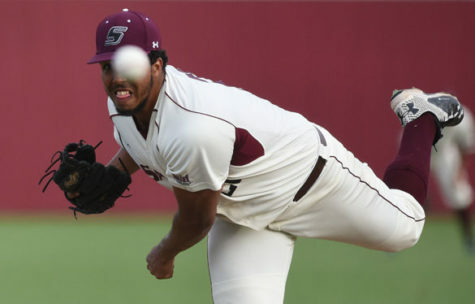 Currently in his senior season, Marciano said he believes he is becoming a more complete pitcher with the help of the Saluki coaching staff — especially Coach Finigan. 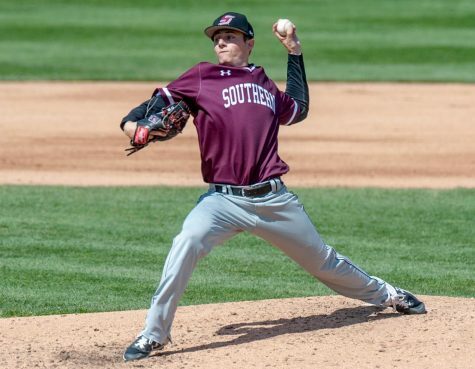 Marciano explained that his personal goals for his final season as a Saluki include earning Pitcher of the Year, a conference championship and a visit to an NCAA regional tournament. The 2017 MLB June Amateur Draft is also on his wish-list. With Marciano hailing from Chicago, he said it would be “cool” if the Chicago Cubs or the Chicago White Sox chose him in the upcoming draft. But he stressed that he will be “way more than happy” to be drafted by anyone. 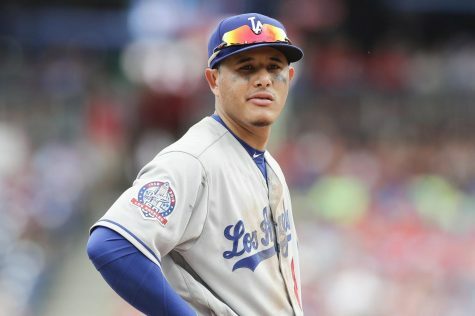 If he is not chosen in this year’s draft, Marciano expressed his desire to continue with playing baseball and chasing his dream of a pro baseball career as an independent baseball player. “I’ll try to keep going with baseball because baseball is my everything,” he said. Even when he reaches the “real world” outside of playing the sport, Marciano said he wants to remain a part of baseball in some capacity. Marciano said he also considers coaching a part of his future, where he can give young players the insight they need to understand their possibilities as well as share his life experience with them as he wishes he could share with his younger self. 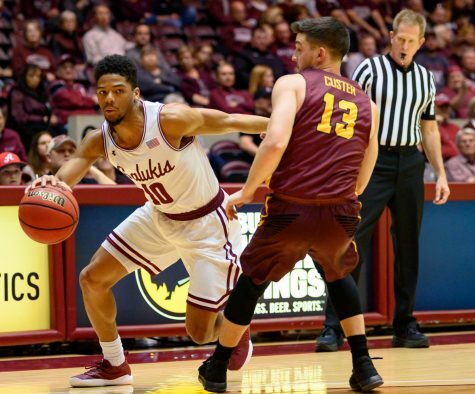 With his final college season underway and his education almost complete, Marciano thanked the coaching staff at SIU for everything they have done for him and the team in his tenure as a Saluki.